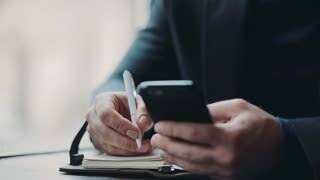 A serious stylish businessman using his phone and making notes. Being a boss, busy lifestyle. Successful life. Males club, men’s style. 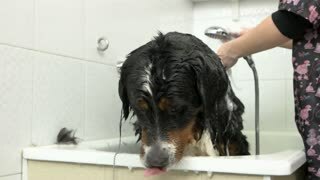 Dog being bathed, slow motion. 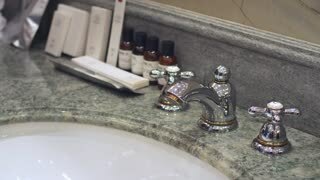 Bernese mountain dog, bathroom. 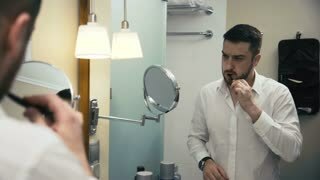 Adult bearded man being in business trip standing in front of mirror in hotel bathroom and brushing teeth.